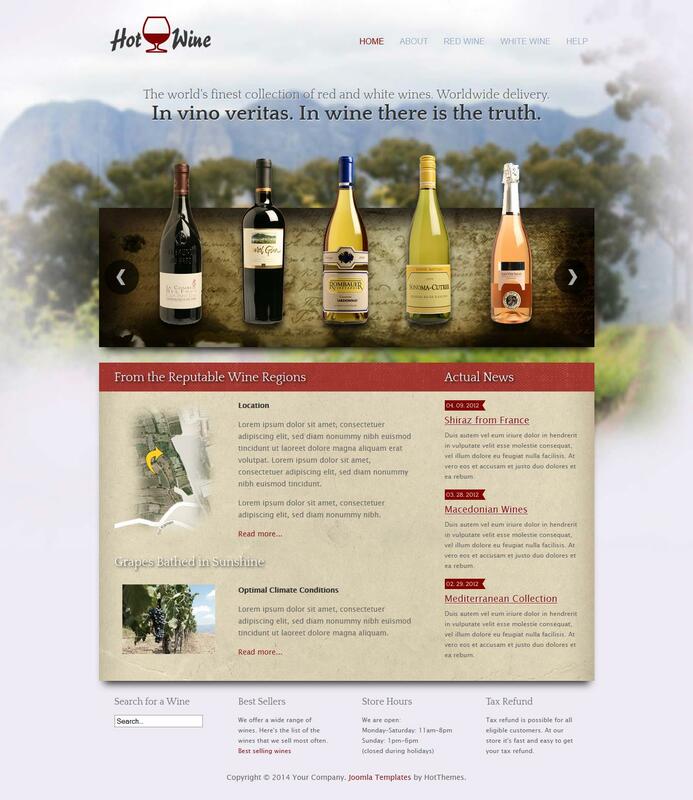 Hot Wine - easy site template from a small team of developers HotJoomla. Design pattern is presented in 3 color themes that can be easily changed through a special tool in the template settings. Flexible modular design consists of 30 items and is able to adjust the width of columns and module positions. The template presented popular extensions studio HotJoomla: Hot Joomla Carousel Pro and Hot Joomla Gallery.